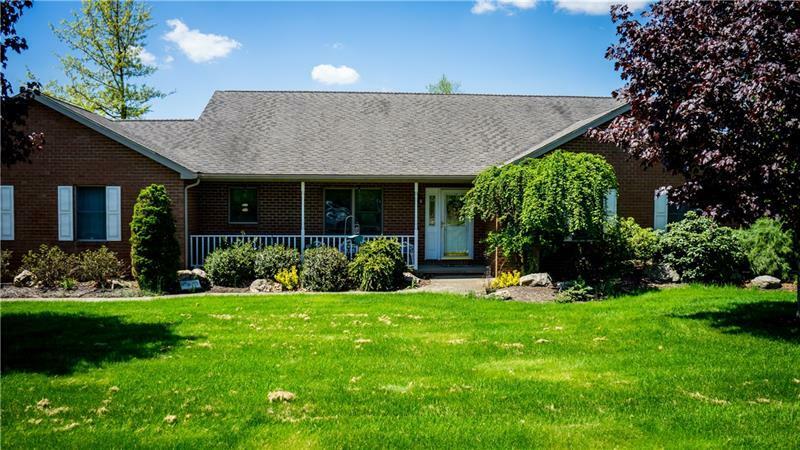 All Brick Ranch in Center Twp. This 3 Bedroom/2 Bath Home features a Large Living Room with Cathedral Ceilings and Fireplace, Huge Eat-In-Kitchen with Island, Formal Dining Room with access to back porch, First Floor Laundry, and 2 Car Attached Garage. This sprawling ranch also is equipped with nicely sized bedrooms, gorgeous corner lot, and covered front porch!! Large walk out basement with tons of storage completes this lovely home.